This is the third and final wedding post. For this wedding at least. And I wanted to share these few because I think they show the value of handing over the camera. There were a few moments in the day that I wanted to join in with, and having set my camera up and pointed out the shutter-release to a friend who I just about trust not to drop the camera, I jumped into shot. 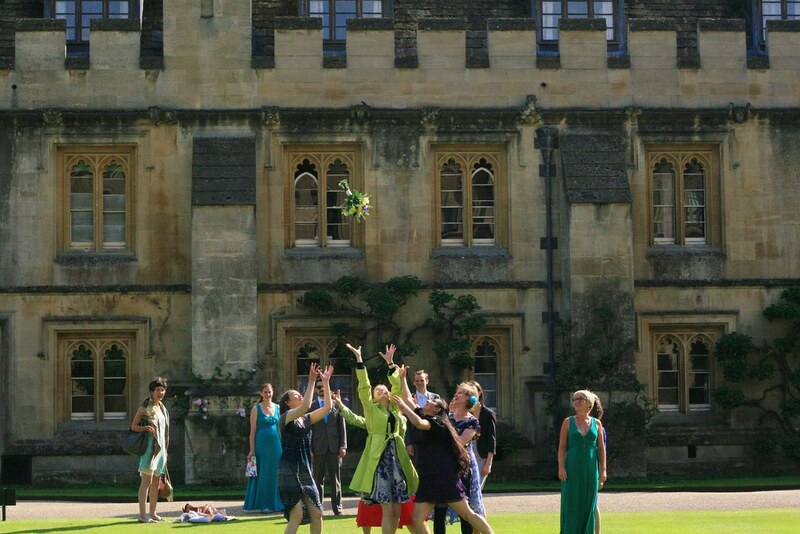 When it came to bouquet catching, we were an interesting bunch. With one friend getting married the following weekend, it seemed perhaps the flowers should be hers. Another friend announced she'd already caught three but was still single, so she needed all the bouquet action she could get. Having never caught any, I challenged her to a duel and stepped into the fray. 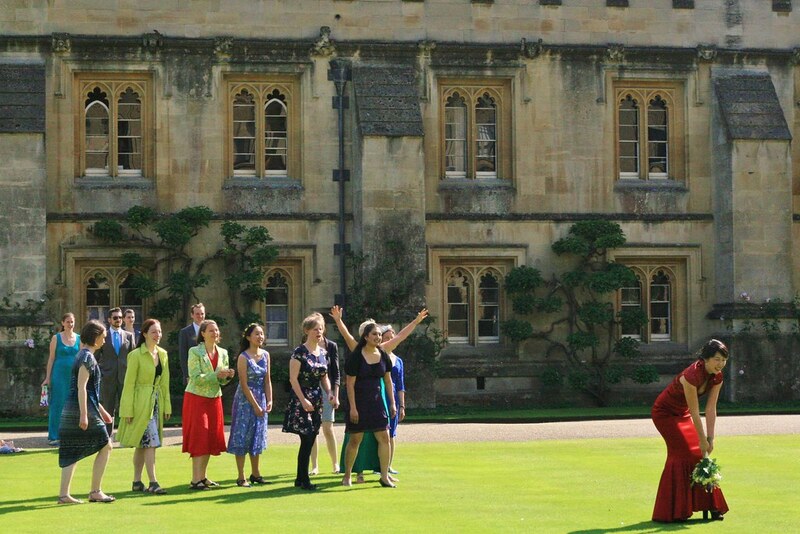 Sadly I missed out, and it was Liz who snuck in from the side using previously-unsuspected, devious flower-catching talents to scoop the bouquet from the sky. 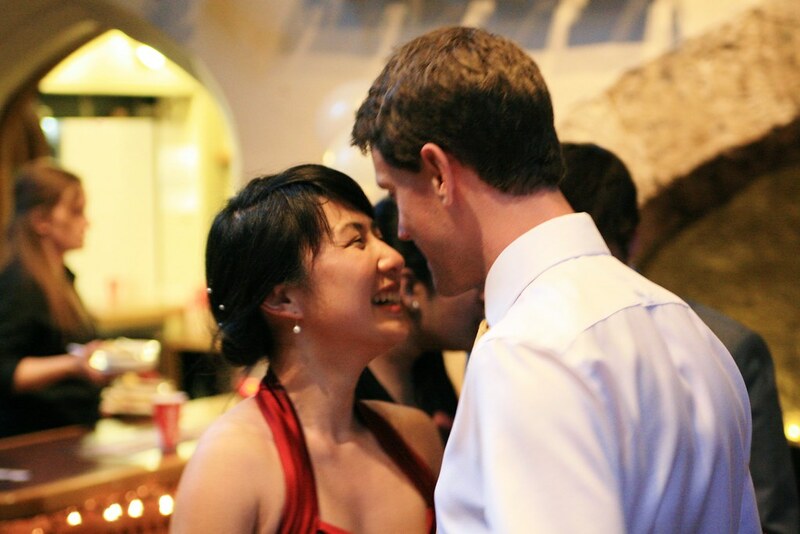 There was some confusion about whether she would in fact be married next, given that the next weekend, as I already mentioned, we were off to another friend's wedding. But then we remembered that it's all just a bit of fun. Mostly. At the end of the day, when the band were playing and the evening was advancing, I put down the camera and just enjoyed the last couple of hours. 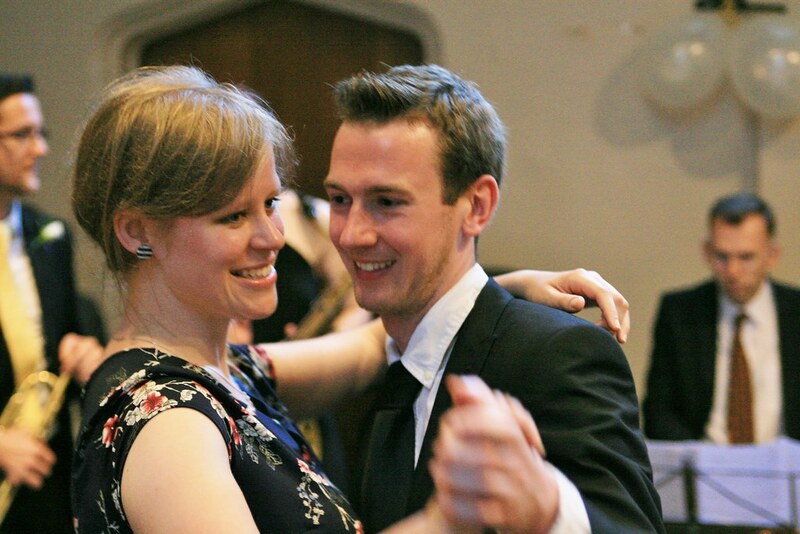 It was relaxing and lovely and I wanted to dance! Any guesses as to what we're dancing too? 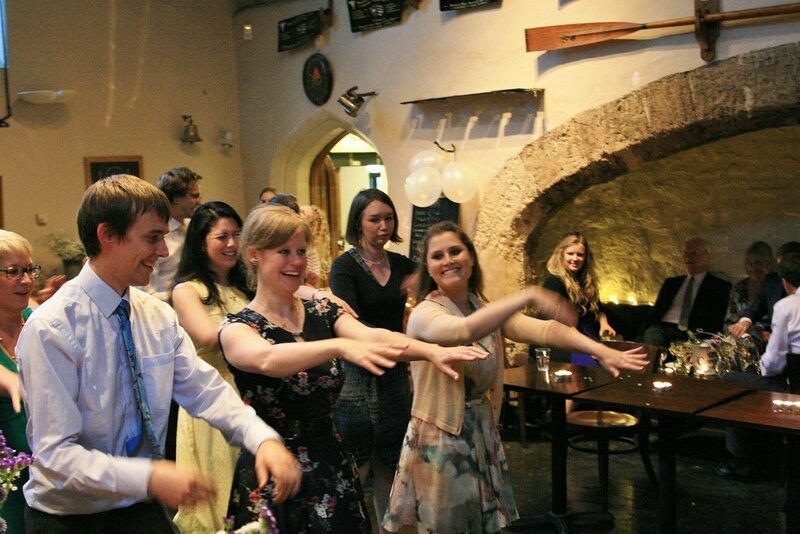 The Macarena, you say? Well, no actually. I foolishly asked Robert to dance; we've been friends for years and he'd been dancing with others in our group...but he said no. No??!!! How rude! Refuse a nice offer from a properly-brought-up young lady? I sulked. "Fine" he said through gritted teeth. "We'll dance" but my sensibilities were offended and I refused. 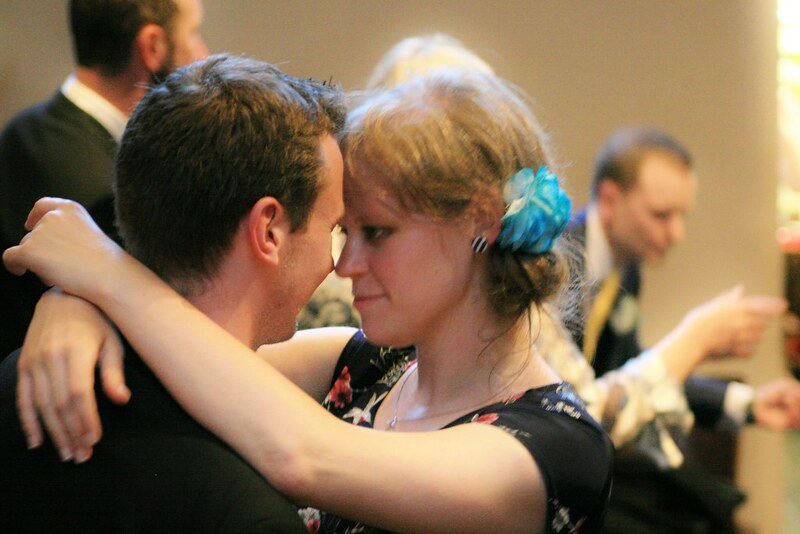 Completely lacking in chivalry he dragged me onto the dance floor and we stood and glared at each other mulishly. "If you don't want to dance with me, then don't!" I pointed out. But he explained that he felt he wasn't a terribly talented dance. Not a problem; nor am I. He explained that he only liked the kind of songs where there's a dance routine and you just follow the instructions. Like the Macarena. 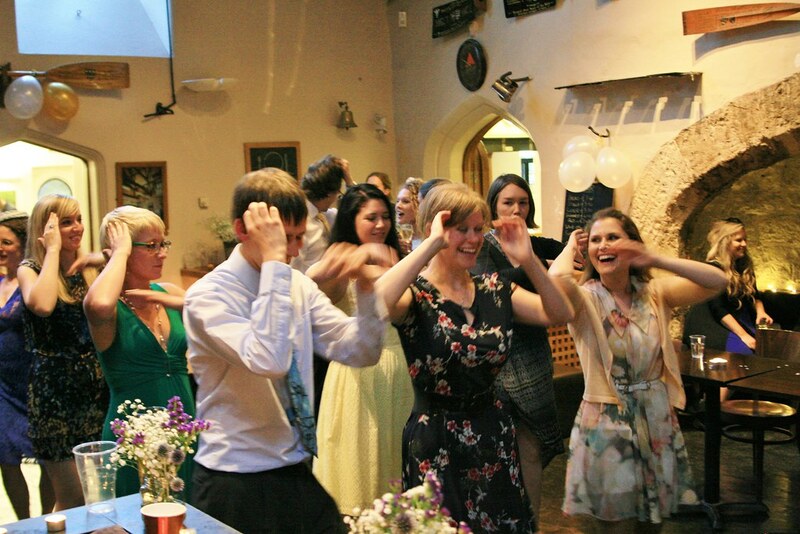 "Fine, then let's dance the Macarena" I suggested. "But they're not playing the Macarena"
And we did. And with once cycle of the dance routine complete, my lovely friend Tori sailed across the room, announcing that she loved the Macarena and wanted to dance too. I smirked at Robert: "First you won't dance with me, but now you have two women..." As we turned again, I realised that there was now in fact a whole group of guests who'd come to join in. It seems the lure of the Macarena is irresistable, it's a dance that everyone can do and that actually, you don't need the real music. 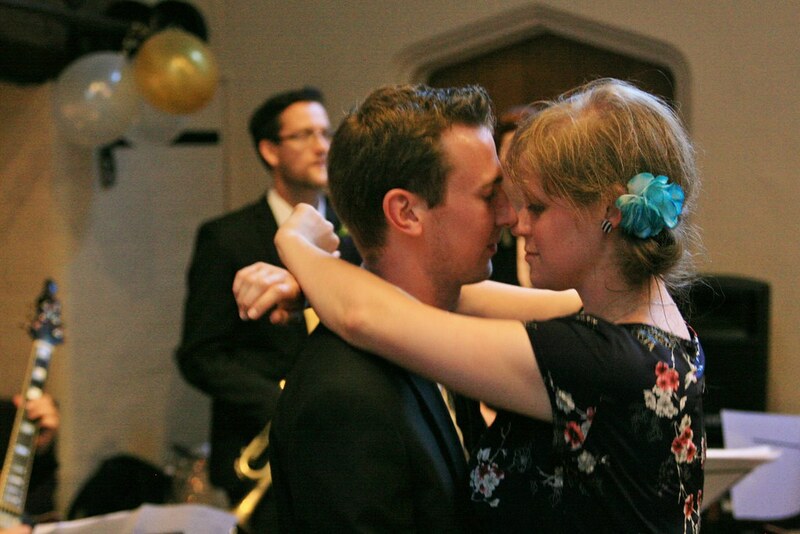 The band continued to play jazz and we meandered through our routine regardless. Ha! I think I quite like my secret life as an annonymous photographer, even if I have no idea what any of the buttons on your camera do, apart from the shutter. Nor do I desire to know. I just about got the hand of unlocking and locking the lense. The macarena is also very photographer-friendly, because you KNOW what everyone will do in the next minute, so it's easier to time the shots. Also,I'm glad you didn't mind and in fact liked my privacy-violating paparazi shots, you two looked so sweet I couldn't resist it.